This 70's Dial Calendar is a retro original and not exactly being reproduced today so limited quantities only but we can't help but share the timeless design. 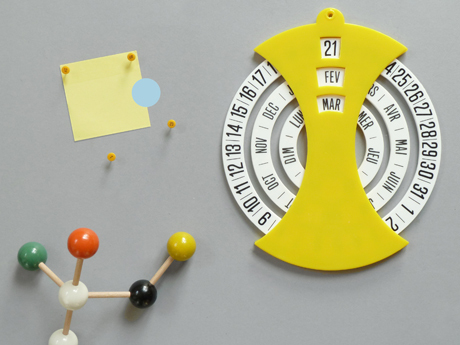 In both english and french this manual spinning calendar is a perfect accompaniment to your modern decor and as authentic as it gets. Available here.